With its low kerb weight and high load capacity, unmatched manoeuvrability, superb durability, highest standard of driver comfort, user-friendliness and safety, the New LF is welcome in every town centre. 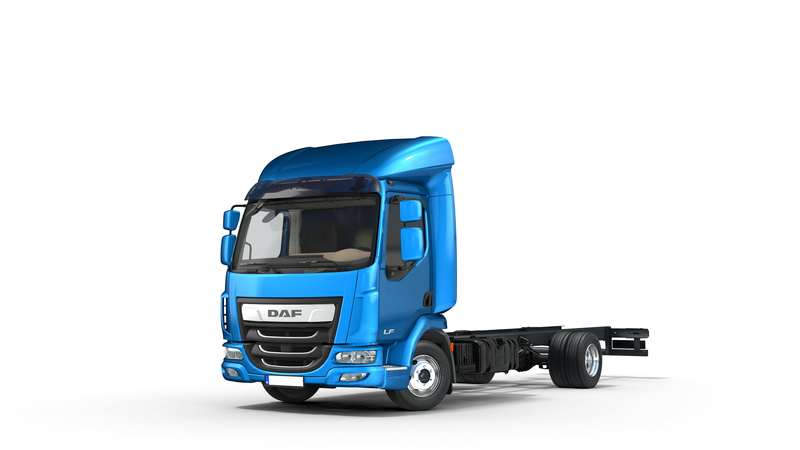 We have taken DAF’s successful distribution truck a step further to maximise vehicle uptime and lower costs of operation, to improve your profitability even more. The result is the New LF260 12T: Pure Excellence. Click here for axle configuration model guide. Model: FA LF260 12T. Configuration: 4×2. Cab: Sleeper Cab. 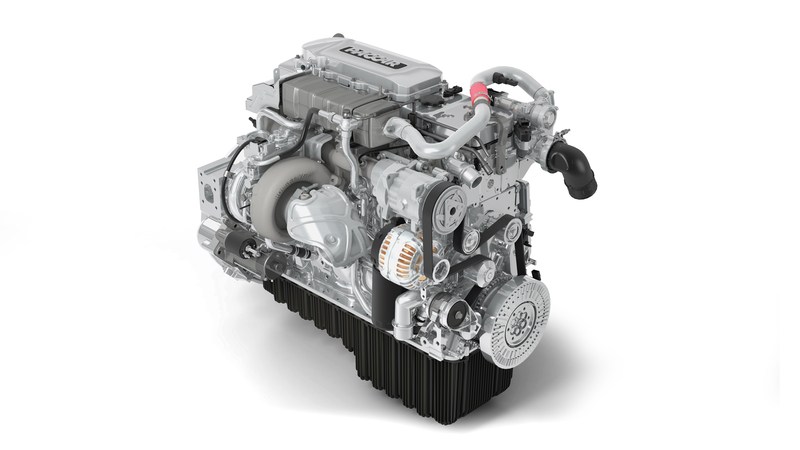 Engine: PACCAR PX-7, 6 cylinder Euro 6, 6.7 litres, 264hp. Transmission: ZF AS Tronic 6 speed automated. Front Suspension: Parabolic leaf spring. Rear Suspension: DAF 2 bag ECAS. Features: Disc brakes front and rear, 17.5” wheels, 12,000 kg GVM. 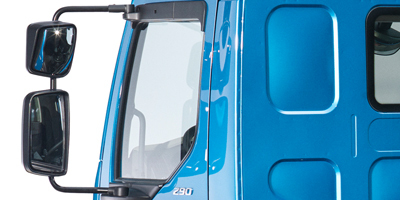 The superb exterior design of the New LF260 12T gives it a strong and friendly look, making the truck a great advertisement for your business. 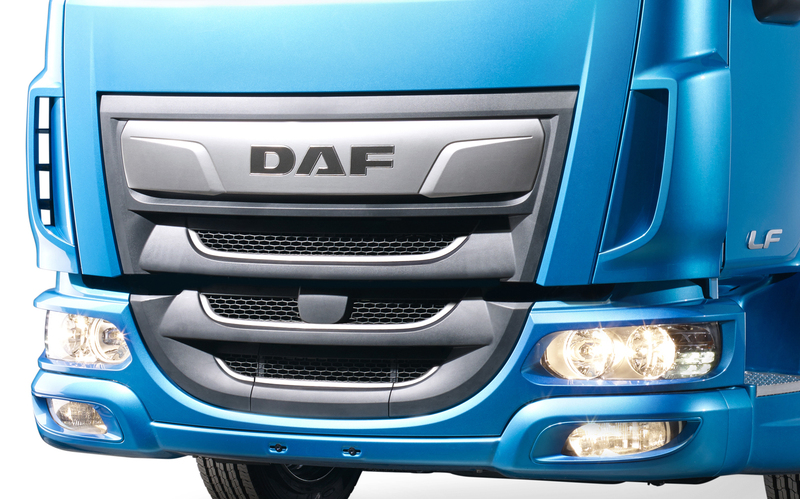 The front grille and DAF logo have been redesigned to reflect quality and a modern design, with a large panel above the DAF logo to add your company name. 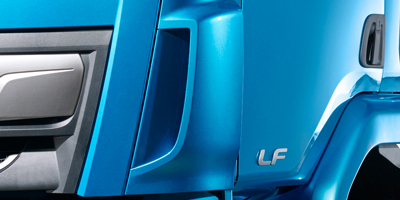 The New LF has optimum accessibility, thanks to doors that open wide (90 degrees), cleverly placed grab handles, convenient steps and excellent visibility for the driver. The new roof air deflector and fenders improve aerodynamics and lower fuel consumption, especially when you move out of the urban environment. The LF provides unobstructed view to the front and sides. 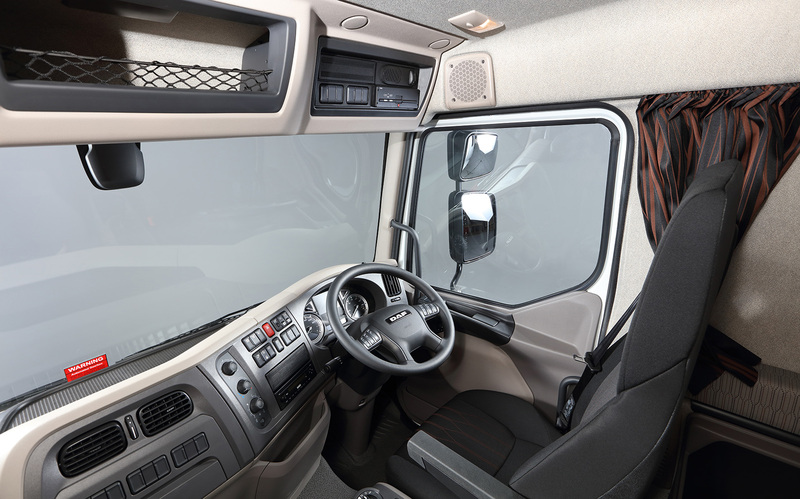 Together with the optimal mirror positioning this provides extra security and reduced risk of damage. 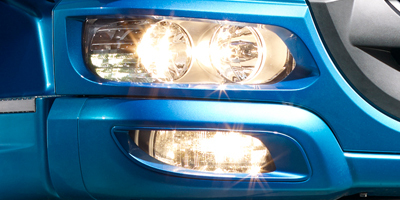 With halogen headlights enclosed behind robust lexan covers, and optional fog lights combined with cornering lights, the New LF is able to meet all your lighting requirements. Aerodynamic corner deflectors ensure that the handles of the doors stay clean, which prove that an attractive design can also be practical. A comfortable driver is a better driver. That’s why the interior is such an important part of The New LF260 12T. The moment the driver steps into the cab, he or she enjoys the highest standard of comfort, user-friendliness and safety. The newly styled dashboard is both attractive and comprehensively equipped, offering maximum ease of use, and enhanced clarity. 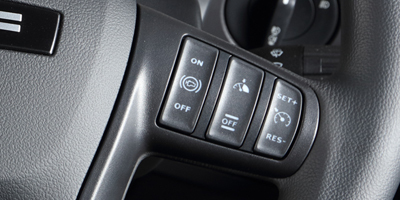 The Driver Information Panel provides more information to increase driver comfort and efficiency. The New LF interior is the perfect combination of quality and comfort. The dashboard & multifunction steering wheel has been designed around the driver, where all controls are perfectly within reach and logically grouped by function. 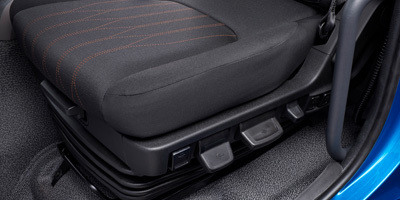 The cab offers many storage options for documents and personal belongings. The Driver Performance Assistant (DPA) is state of the art technology, designed to give useful tips for fuel economy and the optimal time to change gear. 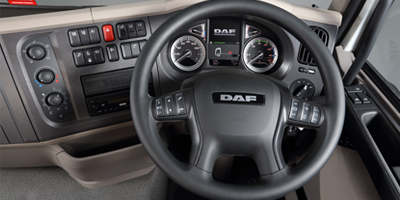 The DPA system encourages the driver to get the best out of the New LF. The New LF is the perfect combination of quality and comfort. It features fully adjustable seats and has optimal accessibility, thanks to doors that open 90 degrees, carefully placed handles and convenient steps. The PACCAR PX-7 264 hp Euro 6 engine, available in the New LF260 12T, features new software and optimised heat and air management systems to comply with the latest emission requirements. These improvements also increase maximum torque that transfers to a ZF AS Tronic 6 speed automated gearbox fitted as standard equipment. Optional ZF Ecolite 6 speed manual and Allison 5 speed automatic gearboxes are also available. Together with new, faster rear axle ratios the result is lower engine speeds and increased fuel savings. 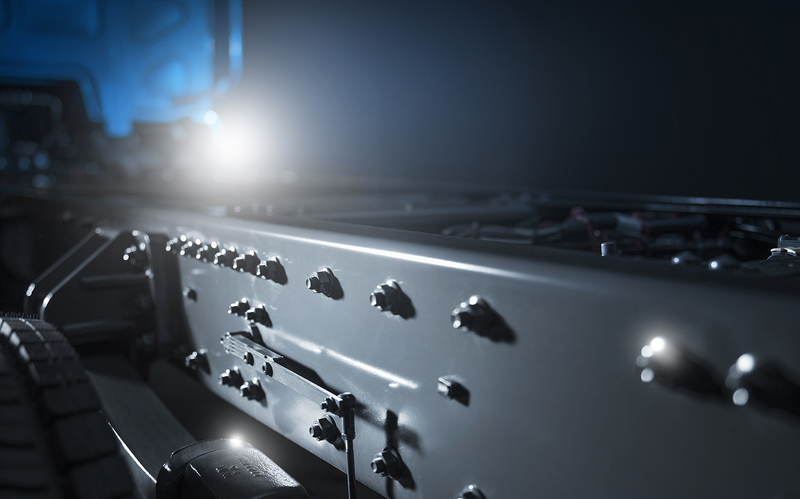 The chassis of the New LF260 12T is designed for optimal bodybuilder friendliness by positioning various components on the inside of the chassis. As a result, the chassis is completely flat. Moreover, electrical and body interface is optimised for easy installation. The New LF also provides numerous efficient PTO options to support a variety of applications such as pumper, vacuum, tipper and cranes.